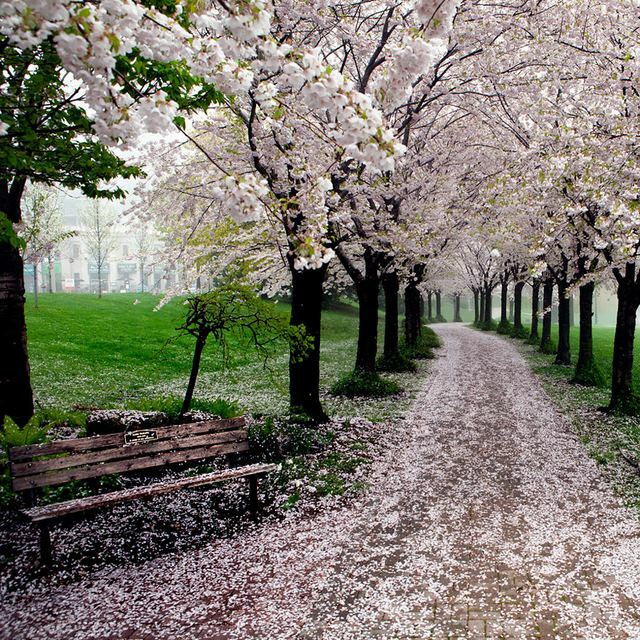 The Japanese cherry trees, also known as "sakura", are one of the most well-known Spring symbols in Japan. 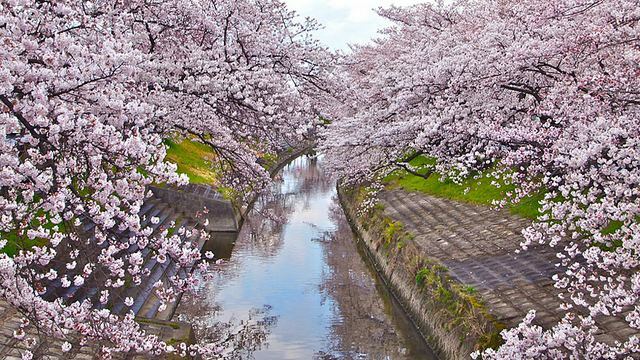 They start to bloom in mid-March in many parks and streets in Japan, while many cities experience this special event until May. 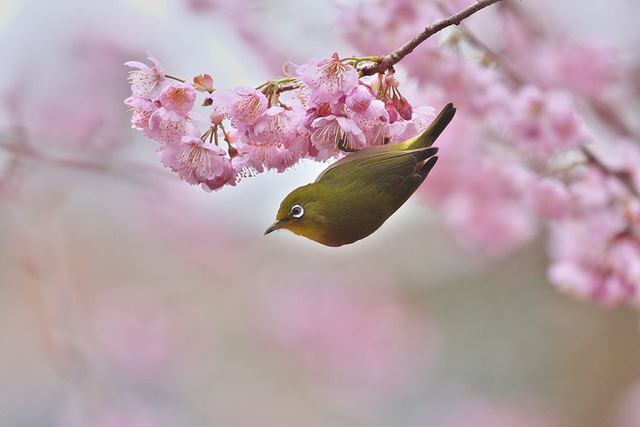 Schools in Japan start in April, which is the same period the cherry trees bloom. 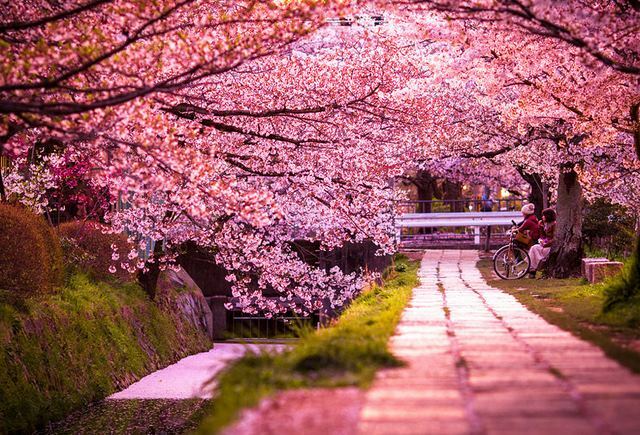 At that time, many Japanese people choose to go on a picnic under the cherry trees, a tradition named Hanami and has its roots back in the 8th century!